Crunch Time: Will Senate Republicans Replace Obamacare Next Week? GOP AK Sen Murkowski says she's "undecided" on Graham/Cassidy but she "likes both of the guys"
Conversely, Susan Collins still sounds like she has no interest in supporting any bill to repeal Obamacare -- even one that takes a state-based approach similar to her own supposed plan, which she introduced with none other than Bill Cassidy. It seems increasingly clear that as Republicans weigh their options on this subject, Collins should be considered a Democrat, for all intents and purposes. Then there's Rand Paul, who is digging in against the bill, framing it as "if you like your Obamacare, you can keep it" non-repeal. It's true that under Graham-Cassidy, states would have the ability to spend their healthcare funding block grants virtually however they see fit (though some core coverage protections and guarantees would remain mandated nationwide). On the menu of possible options would be maintaining a framework that's effectively identical to Obamacare. Some conservatives worry that liberal states might apply the funds to expand government even further, with an eye toward sprawling single-payer. But part of the "risk" of federalism is that some states will make bad decisions; the upside is that other states will be more innovative and responsible, capitalizing new flexibility to improve the lives of their citizens. It would repeal the individual and employer mandates of the Affordable Care Act, impose per capita caps on Medicaid, increase contributions to health-savings accounts, allow states to waive regulations on private insurance providers, and provide those states with block grants so they can design their own health-care systems. If the bill became law, it would therefore be a genuine federalist triumph. A large portion of the federal money now set to fund the Medicaid expansion and subsidies of the Affordable Care Act would be instead distributed to individual states. Each state would have the freedom and means to develop its own health-care system. Reasonable people disagree over how best to design a health-care system, and under Graham-Cassidy, their ideas could be tested without causing a nationwide catastrophe and the disruption of a vital service. To listen to Democrats and many of the journalists who love them, you'd think it was the Republican proposal that's extreme. "In reality, Graham-Cassidy is the opposite of moderate," New York Times columnist Paul Krugman pronounced. "It contains, in exaggerated and almost caricature form, all the elements that made previous Republican proposals so cruel and destructive." The news section of the Times was more even-handed: "Medicare for All or State Control: Health Care Plans Go to Extremes." Are they really both "extreme"? 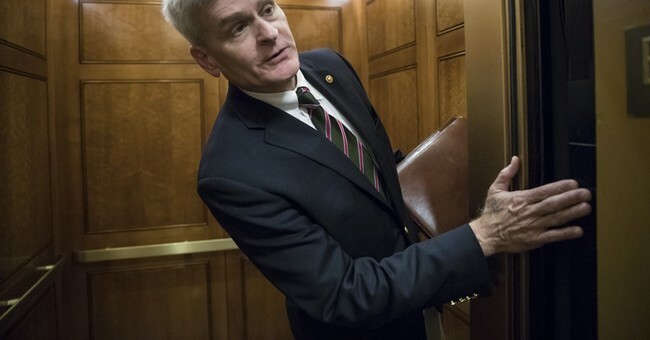 Graham-Cassidy's chief goal is to pare back the federalization of health care policy by getting rid of the individual and employer insurance mandates and letting governors waive out of some regulations. More important, it block-grants Medicaid -- a long-sought dream for those wanting to get a handle on out-of-control spending and debt...That's what's so silly about the claim that Graham-Cassidy is as "extreme" as Sanders' radical and shoddily written proposal (the bill is totally silent on how to pay for any of it). Graham-Cassidy is very close to the kind of legislation we would have ended up with if Republicans had an idea of what they wanted from the get-go and the Democrats were interested in compromise. But we live in a time when extremism is defined as not getting everything you want. We live in a time when a centrist, quasi-"repeal" with modest spending reductions is "extreme" and a ludicrous $32 trillion government takeover is "free."